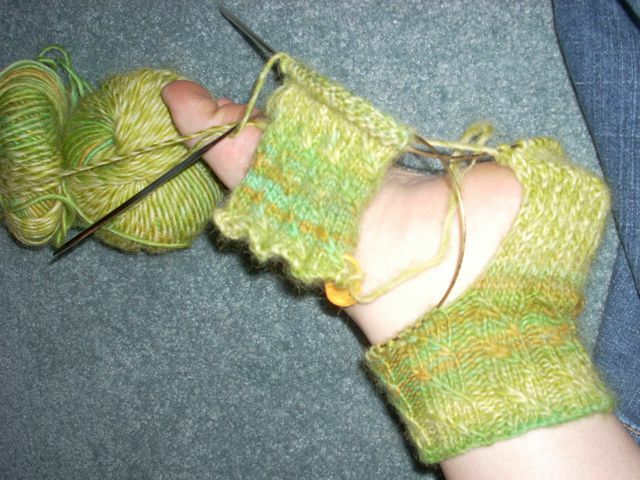 Last night I cast on for a pair of socks for me at knit night. Tonight I turned heel #1. I will hopefully turn heel #2 tom’w at some point. 🙂 Huzzah! It seems way cooler than it really is, I only knit the leg about 3″ long because I am trying to conserve yarn. Once again the yarn is playing tricks on me regarding it’s weight.